Sarcoidosis is an inflammatory immune condition which may affect people of any age or gender, but more commonly affects adults between the ages of 20 and 50. Slightly more women than men are affected. Some researchers believe it may be partially triggered by the body's reaction to contact with a bacteria, virus, chemical, or dust. Most likely there is also a genetic component to the illness. A healthy immune system protects the body from pathogens and other foreign substances. During an immune response, the immune system releases chemicals (cell messengers) which attract certain types of cells to destroy the pathogen or other substance. This process creates inflammation. In the healthy immune system that inflammation disappears after the pathogen is gone. When the immune system is affected by sarcoidosis, this inflammatory response causes the formation of cell clusters called granulomas. Those granulomas can then appear in many different body systems, such as the liver, spleen, lungs, and lymph nodes. Sarcoidosis is diagnosed by the presence of these granulomas in the tissue of various organs such as the liver and lung. A small number of granulomas typically do not cause problems with organ function, so having a diagnosis of sarcoidosis does not always mean that the person will have any symptoms. Since sarcoidosis does not always produce symptoms, many people may have sarcoidosis and never know it. However, in some people the symptoms may be more severe. These symptoms may include enlargement of the liver and spleen, lung complications, arthritis of the ankles, skin rashes, enlarged lymph nodes, and occasionally problems with the brain or heart. In more severe cases of sarcoidosis, the conventional pharmaceutical treatment often includes high doses of prednisone (over a long period of time) to reduce the inflammatory response. Our clinic focuses on natural health. 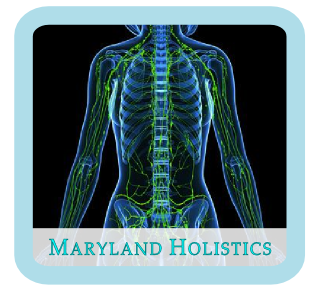 We help your body to heal by activating your body's own natural systems of well-being. We have observed that our mind-body health approaches can help to reduce the inflammatory response in patients with sarcoidosis. It is possible for sarcoidosis to go into remission. In fact, for many people, it often does. In treatment of sarcoidosis, we encourage our patients to remain in the care of their pulmonary or other specialists, continue taking medications as directed, and use our services as an additional support. As with all medical specialities, in natural medicine it is important that your practitioner is well-trained and has experience in treating your condition. If you have any questions about our services and how we may help, we invite you to call today.